Taylor Wessing has advised UK digital wealth management startup Nutmeg on its latest funding round, the biggest fintech fund raise since the Brexit vote. After receiving a licence in January, Burford Capital has launched its own Alternative Business Structure (ABS) Burford Law, with the hire of Akin, Gump, Strauss, Hauer & Feld‘s Tom Evans. Kobre & Kim’s Robert Henoch and Michael Ng discuss third-party financing. Outward-facing Israeli companies often find themselves facing off against larger, deep-pocketed adversaries, such as joint venture partners, investors, distributors, customers, licensees, or those who have infringed on their intellectual property (IP) rights. When this happens, well-financed opponents can leverage the threatened expenses of the legal process in their home countries to destroy the rights of smaller Israeli companies. Third-party litigation funding offers a potential solution for Israeli companies to vindicate their legal rights under such circumstances. Historically confined to David vs Goliath claims, a new band of dispute funders are pushing the model into new frontiers. How far can they go? Hedge fund methodology – the process of using hard numbers to make statistical predictions – is not part of a dispute lawyer’s traditional armoury. Yet the same kind of financial calculation used by banks and asset managers is not just creeping into the disputes market, but threatening to have a significant impact on it. Welsh firm Capital Law has launched a £50m commercial litigation funding service, marking the first time a UK law firm has established its own disputes funding pot. Third party financier Harbour Litigation Funding (HLF) has opened an office in Hong Kong to meet a rise in class actions in the Asia Pacific region. The US Chamber of Commerce, scarred by the American litigation culture, has long been spreading the word about the pain that litigation can cause, and has a particular bee in its bonnet about third-party litigation funding (TPLF). A sign of the growing third party funding market, Harbour Litigation Funding has raised a significant £230m investment fund to bankroll disputes as it looks to capitalise on rising demand. It’s been a turbulent year for third-party funders, from court battles shining a spotlight on risky investments to new entrants and exits. 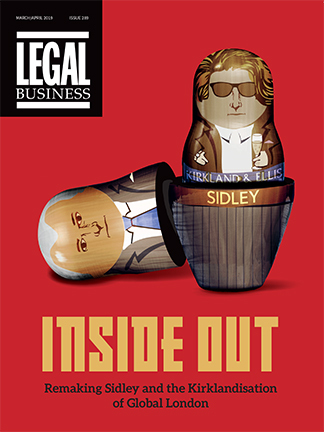 Legal Business scopes the changing landscape for litigation’s bankrollers. In early autumn, high-flying disputes lawyer Harvey Rands was taking a vacation in upstate New York. While many spend breaks catching up on books and perfecting golf swings, Rands, one of Memery Crystal’s highest billers, held in his possession an embargoed draft of the Excalibur costs judgment, a Commercial Court ruling on one of the most controversial pieces of litigation in recent years. Crucially the ruling, made public on 23 October, found third-party funders liable for indemnity costs in what became a precedent for an industry historically dogged with a controversial reputation. In what constitutes the latest major bailed-out bank facing a shareholder dispute, third party financier Therium Capital Management is understood to be bankrolling the high profile claim by shareholders against Lloyds with the cost of funding the case thought to be as high as £12m so far.